If you are newly engaged, you may be beginning to look at different venues for the big day. If you are newly engaged, you may be beginning to look at different venues for the big day. Of course there are the classics, such as a beach, church or garden wedding. However, if you’re a modern bride or groom, looking for an option that’s a little more out of the box, you may consider a vineyard wedding. Falling somewhere between a garden and country wedding, vineyard weddings offer the rustic appeal of nature while also maintaining the wine and food options of a city wedding. However, the benefits extend far beyond this. For one, take the beautiful scenery apparent at so many vineyards. What better place to host the most photographed day of your entire life? Whether you find a vineyard in the mountains, near the coast, or by the forest, your vineyard wedding is sure to result in some beautiful photos, including rolling hills, brambling gardens and beautiful vines. Another benefit to vineyard weddings is the vibe that is so unlike any other. Wineries emit a relaxed, yet sophisticated ambience that is hard to match- or find anywhere else. Your guests will be able to relax, while sipping on high-quality wine and eating fine charcuterie. What more can we say? Vineyard weddings also contain the benefit of their central location. When deciding upon a church wedding, you will have to book a separate location for the reception. However, with a vineyard wedding, you will only have to book one location for both the ceremony and reception- and you won’t have to skimp on gorgeous settings for either. Natural light is another great advantage of hosting your big day at a winery. Natural light is not only a photographer’s best friend- it’s a bride’s best friend too- and you won’t find any scarcity at a winery. The ability to implement your own personal style is another great benefit of hosting a vineyard wedding. Most vineyards will work with you to transform the space into a manifestation of the dream wedding you’ve been planning for years. This may take a country approach, nautical, floral- whatever you feel! After all, it is your day. Logistically speaking, winery weddings are also a win. In terms of weather back-up, most wineries and private estates will have a good indoors option so your day isn’t compromised- even if the weather is. Furthermore, wineries provide a lot of options for photo-taking locations. You may not be thinking of that now- but on your big day, you’ll want a variety of shots- of the entire wedding party. If you are in the Georgia or general southeast area, you may consider Georgia mountain wedding venue. Sitting on 20 acres of rolling hills and sandy soil, Yonah Mountain Vineyards will not only provide the perfect backdrop for your big day, but will also provide luxury wine and food options. 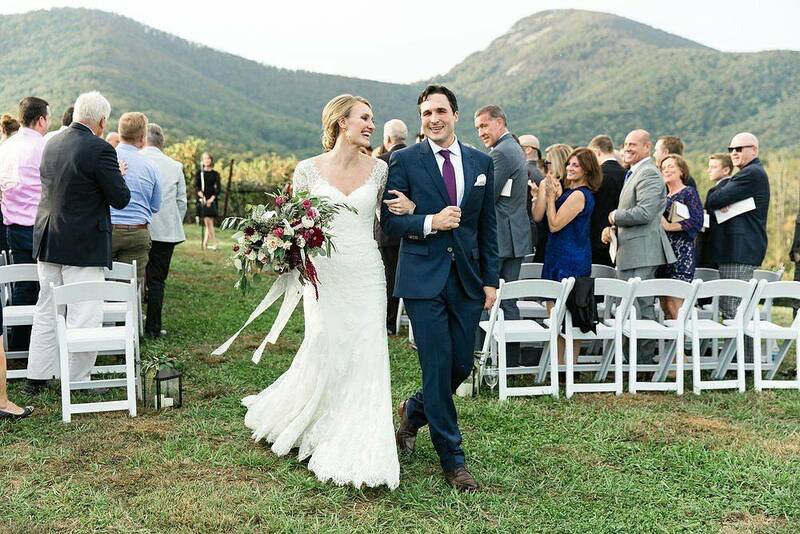 If you love nature, wine, and a good time- look no further than Yonah Mountain for your special day. Or, even if you’re not getting married, look to Yonah Mountain’s website for fun, wine-oriented events coming up.